McGuires Browns Sabina's Beanie - "Beanie"
Here again is another beautiful sweet charming young lady that we just adore. This little gal is an out standing in every aspect, she is very correct and a 10 plus. 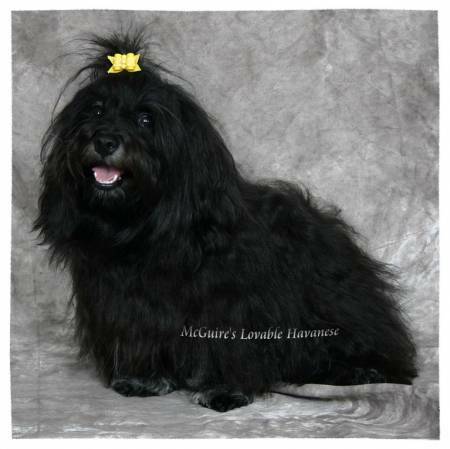 Thank you Caryn & Tom at McGuire lovable havanese!